I,m lucky if I get 10 hrs out of me kids 10 yz85 piston rings. On some of our previous yz 85s I would go 25 to 30 hrs on a piston and ring no problem. Mid pack nov rider, bike is running 32.1 on 91 pump with a nice golden brown plug. Any suggestions? looks like it might have gone a little lean. Just my 2 cents. Looks like the ring was not sealing well. Shouldn't see so much dark oil burn below the ring. 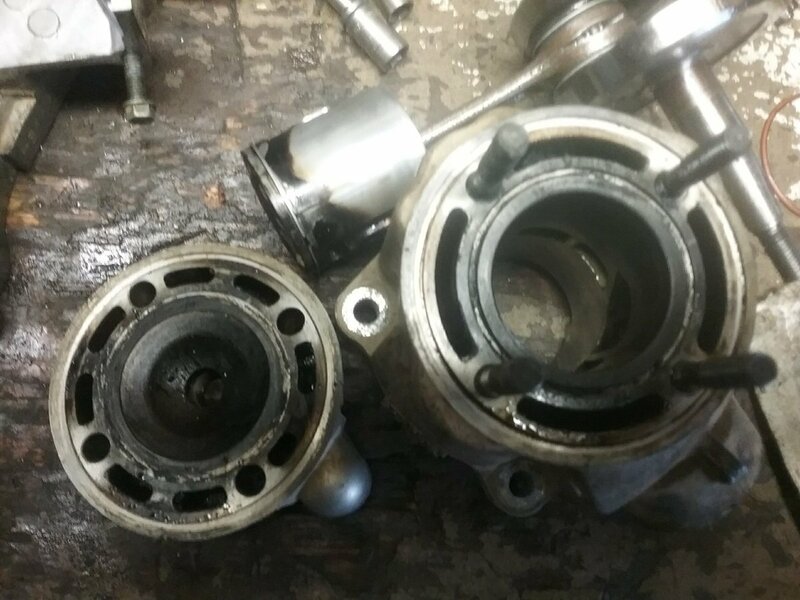 Were you able to confirm the piston to cylinder wall clearance, when it was fresh? May have been to loose initially. I throw a D sized piston my cylinder. Piston play spec is 0.045mm to 0.05mm min to 0.1mm max. Before ordering a piston, you should have measured the cylinder for out-of-round, taper and bore diameter (worn plating). If any are out of tolerance, no matter the tighter fitting D piston, it will still continue to wear in the same fashion as your previous piston(s) did.